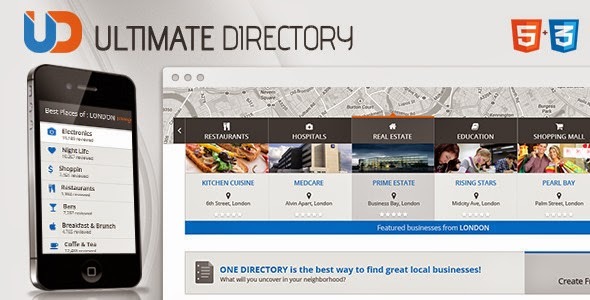 Directory Site Template is a content driven Directory Portal that is ideal for listing any kind of entity or activity, whether it’s a restaurant, an event, a candidate, a vacancy or even a multiple companies.. It is compatible with all modern mobile devices. A very wall designed template with a blog, FAQ, search, 404 page template. Item Reviewed: Directory - Responsive Site Template 9 out of 10 based on 10 ratings. 9 user reviews.